The Robe Pointe can project a static or rotating glass gobo to produce precision in-air and surface images with an even focal plane. Tight or at full 20 degree zoom, the output is crystal clear and brilliant. Add in either rotating, 6 way linear or 8 way circular, prisms to create wide reaching effects across any set. Drop in the frost filter and use any of the 13 rich colors to create a smooth even wash. 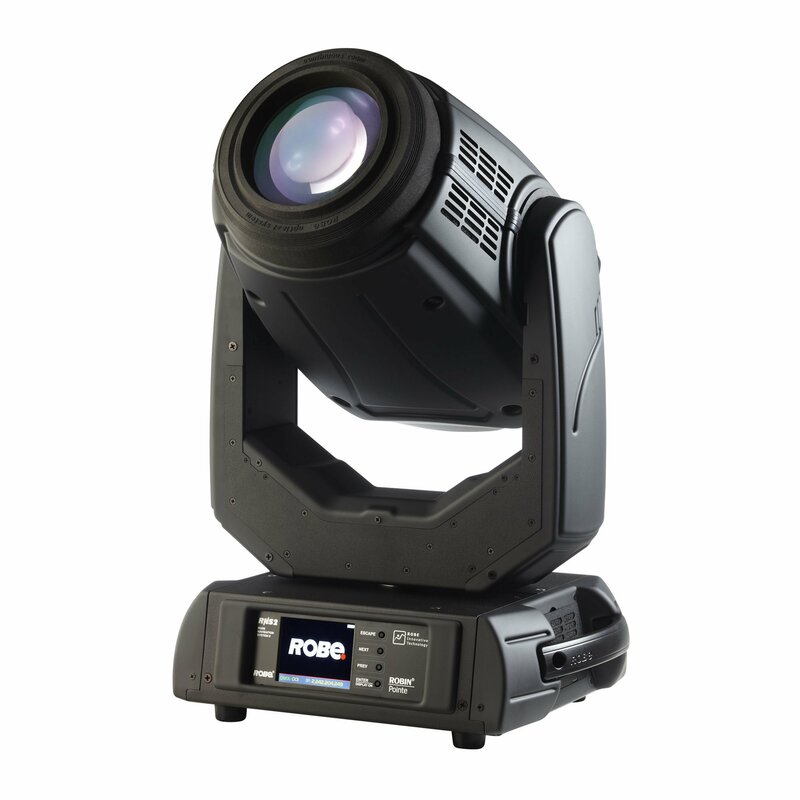 The Pointe has an output far greater in size, quality and power than seems possible from it’s small, lightweight body – due to the efficient short arc 280 W discharge source and the Robe optical configuration. This new technology fixture even travels efficiently in a case of 4 and will cover all your needs – Beam, Spot, Wash, FX.